Fresh off its success in funding and marketing “A Star Is Born,” Live Nation Entertainment Inc. has sent Hollywood a message: The world’s largest concert promoter and ticketing company is also in the movie business. Live Nation Productions, the company’s film- and television-production division, which has released six music-oriented film projects in the past 2½ years—most of them documentaries—has quickly made a name for itself by drawing on Live Nation’s relationships with artists. “A Star Is Born” has made $149 million at the domestic box office through last weekend, making it the biggest commercial and critical success to date in which Live Nation Productions has had a hand. The company put up a quarter of the film’s $40 million budget, according to people familiar with the matter. Live Nation says its media division is profitable and has made money on every film it’s done, though the company declined to share specifics. Live Nation’s chief executive, Michael Rapino, says the new division returns higher margins than its core concert-promotion business, where it is notoriously difficult to turn a profit. The company got into the business in 2015, when Justin Timberlake wanted to film the final concert of his world tour, on which Live Nation was the promoter. The company put up the money and sold the documentary, “Justin Timberlake + The Tennessee Kids”—the last film directed by the late Jonathan Demme—to Netflix Inc.
Heather Parry, who heads up Live Nation Productions, sits close to several managers in Live Nation’s artist-management division. Lady Gaga’s manager, Bobby Campbell, walked by one day and, peeking through the glass walls of the office, caught sight of a recent project being screened, she said. The footage was from “Can’t Stop, Won’t Stop: A Bad Boy Story,” a documentary about Sean “Diddy” Combs’s label, released on Apple Music. That chance encounter helped lead to the documentary “Gaga: Five Foot Two,” also released on Netflix. 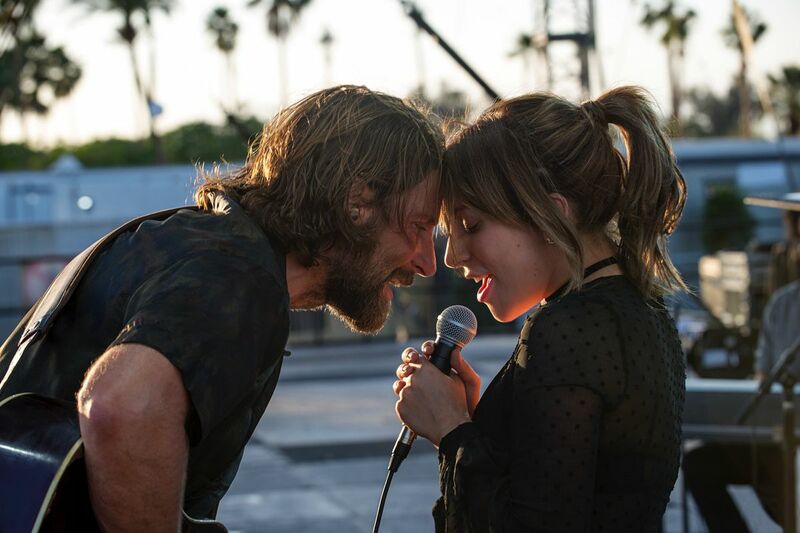 The same relationship proved useful early last year, when the filmmakers were looking for additional funding for Bradley Cooper’s directorial debut, “A Star Is Born,” starring Lady Gaga. Producer Billy Gerber was visiting Mr. Campbell in Live Nation’s office and ended up discussing the project with Ms. Parry. Live Nation Productions put up money in the fall, a few months after production on the film had wrapped, then pitched in marketing services—running trailers and movie posters at festivals and concerts. Live Nation also was able to use sales data held by its Ticketmaster unit to identify potential fans of the movie and then email them promotional material. “You couldn’t attend a Live Nation event for the last six months where you would not have been made aware of ‘A Star is Born,’” Mr. Gerber said. Other Live Nation Productions projects include documentaries on the bands Eagles of Death Metal and Imagine Dragons, as well as “The After Party,” a Netflix original about two friends trying to land a record deal. The success of “A Star Is Born” comes as several upcoming music-focused film projects are generating buzz. “Bohemian Rhapsody,” about the British rock band Queen, is due out this week from Twentieth Century Fox. Paramount Pictures’s Elton John biopic lands next spring. Live Nation Productions is now developing its first television series, the documentary “From Cradle to Stage,” based on a book written by rocker Dave Grohl’s mother, Virginia Hanlon Grohl, who interviewed the mothers of other famous musicians. The company has several other potential projects in the pipeline, including another feature film.